The model - this resin model was released in Hong Kong in October 2002. The bus - AM1 (BJ352) was the one and only Duple Dominant bodied Albion EVK55CL midibus purchased by CMB in 1974. 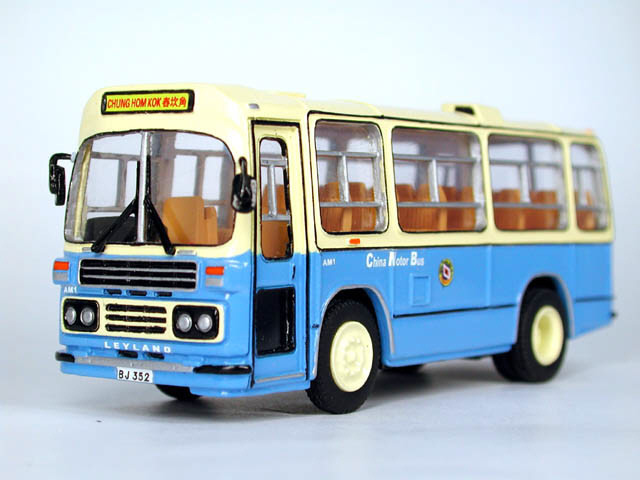 It was put on route 5C together with SM1 (BH106) for service during the mid-1970s, but was soon allocated as a spare bus due to its low capacity. This bus has been used as a wedding bus by CMB on a number of occasions before it was withdrawn, and it is now waiting for possible restoration in a private car yard near Kam Tin, as seen in the photograph below. 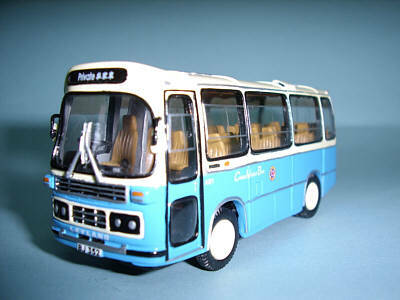 Manufacturer of model Hong Kong Model Co..